The T2600G-28MPS provides 24 10/100/1000Mbps ports that support 802.3at/af-compliant PoE,with a total PoE power supply of up to 384W,giving users the power and flexibility to deploy wireless access points or IP-based network surveillance cameras. In addition,it provides high performance static routing,enterprise-level QoS,advanced security strategies and rich layer 2 management attributes. With all these advanced features,the JetStream Gigabit L2 Managed PoE Switch is an ideal choice for small and medium business networking solutions. The switch provides high performance,powerful L2 and L2+ features like static routing,enterprise-level QoS and other advanced security strategies. OAM,L2PT and sFlow can meet the requirement of large ISP customers,and the IP-MAC-Port Binding and Access Control List (ACL) functions protect against broadcast storm,ARP and Denial-of-Service (DoS) attacks,etc. Quality of Service (QoS,L2 to L4) provides enhanced traffic management capabilities to move your data smoother and faster. Moreover,the easy-to-use web management interfaces,along with CLI,SNMP,RMON and Dual Image mean faster setup and configuration with less downtime. 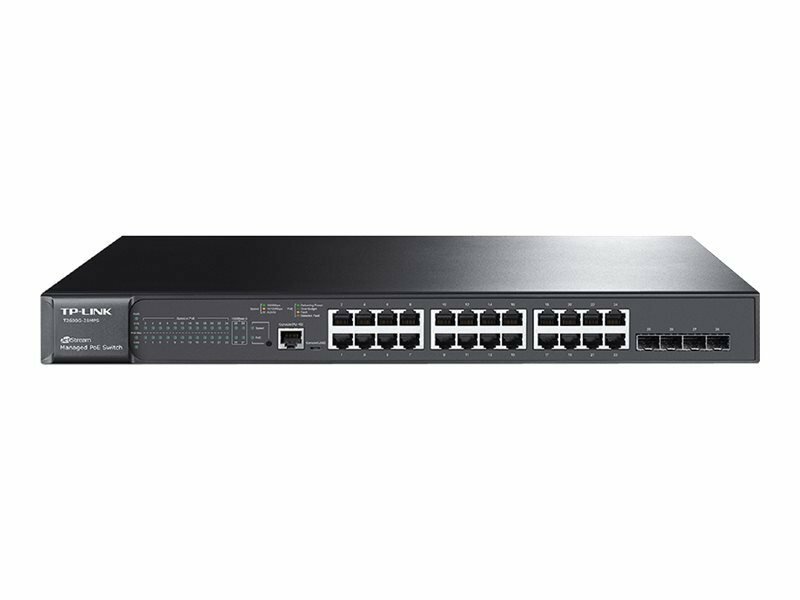 For workgroup and departments requiring cost-sensitive L2 Switch and gigabit capability,TP-LINK JetStream 24-Port Gigabit L2 managed PoE+ Switch T2600G-28MPS provides you the ideal network solution.